Newly remodeled with new roof and offices. Features two private A/C executive offices, five Dock-High loading doors, 1,200 SF of office space, and 4,800 SF of new A/C warehouse/showroom. 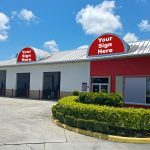 Located in busy Port Saint Lucie industrial area, just off Bayshore Boulevard. Just 5 minutes away from FL Turnpike & 10 minutes to I-95. 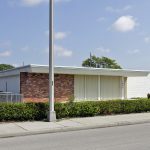 This 2,602 square-foot freestanding building is located on a HUGE corner lot with great exposure to busy US Highway 1. 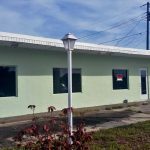 Excellent site for professional office or retail/quick service redevelopment. Building on property features an archway entry, well maintained landscape, and its own monument sign. There is a total of .8 acres with .5 acres of open land on US-1. Located near hospital and Savannah Road with direct road access to waterway. 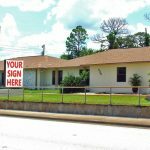 Site has one of the highest traffic counts in Fort Pierce, this deal will not last long! Great space available at the Gatlin Commons strip center, ideal for retail use and a variety of other uses under GC Zoning. Located within the Gatlin Commons PUD with national tenants that include Wal-Mart, Sam’s Club, McDonald’s, Bank of America and more. Some of the neighboring tenants include: Tire Kingdom, Alfonso’s Pizza, and Hot Wok Take Out. Located at the entrance of to the Portofino Isles community and just 1.5 miles east of the “Tradition”, a community currently consisting of 2,400 residences and a planned expansion of 18,000 single-family and multi-family residences. Don’t miss out on this great opportunity! 10,000-square-feet of commercial space located on the North end cap. Site has ample parking, monument signage, and it is highly visible from US Highway 1. Some of the neighboring tenants include: Sherwin Williams, AT&T and Cash America. Located on US Highway 1 and Business Park Drive. 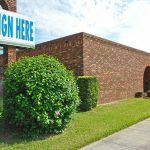 Prime location on busy Gatlin Blvd! 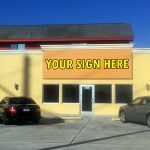 1,173 SF freestanding building is ideal for a professional type business such as real estate, insurance, medical and more! Space features three office areas, one private office, and a handicap restroom. Nicely renovated interior, kept in immaculate condition. High exposure to Gatlin Blvd. plus easy to locate by landmark of Welcome sign with space shuttle replica. ONE SPACE AVAILABLE! Brand new exterior with easy on/easy off access to Hwy 1. Superior signage on busy portion of US 1 near Walmart and Sam’s Club with traffic counts as high as 80,000/day. Fresh & modern facade with new impact windows and doors. Utilities included: Water, Sewer, and Trash. An absolute must see!! ONE SPACE LEFT! Great leasing opportunity! 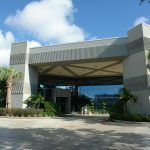 The Magic Professional Offices consists of a two-story building with great exposure to SE Port St. Lucie Blvd. Property has had some renovations done which include a newer roof. Spaces are ideal for medical, professional, or a financial business, plus other uses under LMD zoning. Other features include a monument sign, plenty of parking, and easy accessibility. Excellent well-maintained service garage totaling 2,340 square feet. 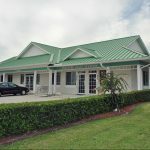 Features four (4) bay doors, its own monument sign, a vehicle lift, reception area, and has been completely renovated with a new roof, plus electric. Located on NE Dixie Highway, in the industrial area of Rio. LAST SPACE AVAILABLE!! 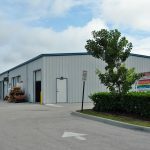 Industrial/office space in the St. Lucie Industrial Park that features an 10’ x 12’ overhead door, lavatory, and it consists of 25% office space and 75% warehouse space. Ideally suited for a showroom, furniture sales, and other industrial type businesses. Easily accessible from US-1. 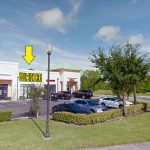 Prime retail space opportunity! Excellent 525 SF open floor concept located behind the Ramey Carpet and Tile store. Ideal space for a professional business or boutique retail. Site has dedicated turning lane and signage to US-1. Tenant would be responsible for electric (water is included). Space will lease fast!! Unit 7656 – 1,000 SF LAST ONE! 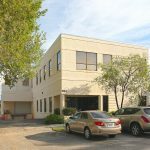 Vacant building features 8,733 SF of office space and it includes additional parking lot next door. 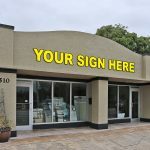 Property needs some repairs and interior renovations, however it makes for a perfect professional office with a wide range of uses under C3 Commercial Zoning. Directly across from the ER at St. Lucie Medical Center. Covered patient drop off, lobby and ample parking. 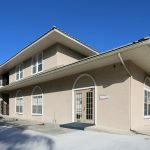 This 2,000 SF Medical/Professional Office Space is located on ground floor with a large waiting area, spacious reception office, conference room, 3 treatment rooms with sinks & cabinets, 2 recovery rooms, locked prescription room, ADA restroom, doctors office with bathroom, kitchen area plus lots of storage closets. Excellent flex warehouse spaces available at a commerce park! Site features storefront, office and warehouse space, plus dock level and grade level doors. Spaces won’t last long!! 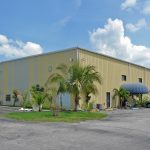 Located in industrial area in St. Lucie West, easy accessibility to I-95. AVAILABLE IMMEDIATELY!!! The Dalton Center has an immaculate Class A professional office space available in a high traffic area, great for administrative services, medical, and other professional business uses. 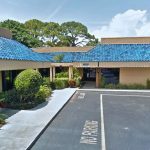 The interior features high quality finishes and wooden floors throughout that have been well maintained, spacious lobby area/reception, three offices, two handicap accessible restrooms, and prewired with high speed internet (Cat 5 throughout). Highly visible monument sign also available on property. THIS DEAL WILL NOT LAST LONG! 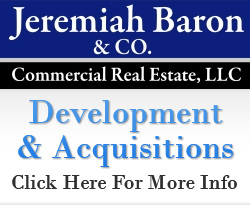 Great leasing opportunity! This free-standing building features (2) offices, (2) bathrooms, and almost 1,552 SF of showroom space. There is an additional 1,380 SF warehouse in the rear with a 10x9 roll up bay door. High exposure to S Colorado Ave. plus signage, ideal for a number of uses. Located in the Downtown Stuart area! 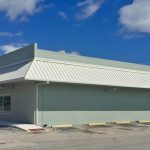 Class A professional building, next to CVS Pharmacy and Saint Lucie Medical Hospital. Perfect location for any professional or Medical group, lab, etc. Marble lobby entrance, elevator all of the highest quality construction throughout building. Fiber optics, plumbing, heater, and all medical build-out is in place. Parking is excellent, and building features a covered drop-off / pickup valet section. Overall, best value to lease a high quality professional building. Joint Venture for Dialysis space on first floor available. Space will lease quickly! 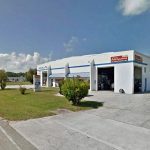 3,000 SF former auto service garage features 3 bays with lifts and an attached office/retail area. 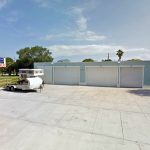 Perfect location for auto mechanic, detailing, and industrial/warehouse type business. Located on high traffic area, on the corner of SE Federal Highway and SE Salerno Road. 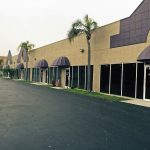 Excellent Class B industrial building has two spaces available for lease. Property features 3-Phase Electric, 22′ ceiling, A/C office and showroom, 12 x 14 overheard doors, fenced outdoor storage area and ample parking. 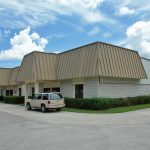 Excellent industrial warehouse in the sought out Port St. Lucie Industrial Park area. 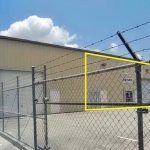 Vacant property is ideal for a showroom, repair business, storage, and other uses under the Warehouse Industrial Zoning. Site features include two bay doors (12’ x 15’), plenty of parking, and great exposure to SE S Niemeyer Circle. Rare lease opportunity!!! 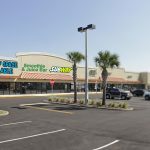 The Ocean Breeze Plaza shopping center currently has a 2,000 SF end cap space available with high visibility to NE Jensen Beach Blvd. This place could be suitable for a restaurant business since it was formerly occupied by a Dunkin’ Donuts/Baskin Robbins. Retail or professional establishment also allowed. The Plaza is anchored by a Publix store, and other neighboring tenants include: Big Apple Pizza, Subway, Mail Box Plus, and many others! 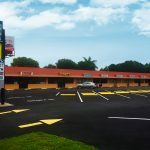 Located in downtown Jensen Beach, less than 1/2 mile south of the Jensen Beach Causeway. Excellent office lease opportunity! The MRI Executive Center has 650 SF to 2,100 SF of contiguous office space available. Office features conference room, reception area, waiting area, bathrooms, and multiple office spaces. 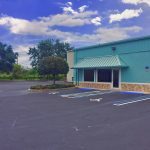 Located on busy SE Port Saint Lucie Blvd. just over the Saint Lucie River bridge. Great leasing opportunity! Building will be undergoing significant renovations, and will be ideal for national, automotive, or small manufacturing company. SPF roof provided by Whiting Construction. Owner will contribute to tenant build out. Property features three-phase electric, 2 roll-up bay doors, A/C offices, and has ADA compliant restrooms. 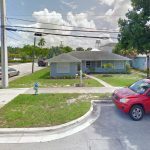 Convenient location with access to SE Federal Highway and SE Dixie Highway. 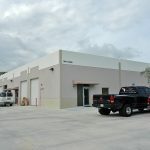 Two 1,000 SF industrial spaces are now available for lease (can be combined) at this Port Saint Lucie Industrial Park. Divided into 10 units, each unit has an overhead door, lavatory, and it consists of 25% office space and 75% warehouse space. 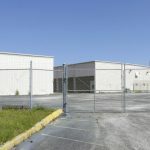 Industrial lease spaces available in the Port Saint Lucie Industrial Park District. Units feature warehouse and office space, and bay doors. Located on SE S Niemeyer Circle and SE Industrial Blvd, North of SE Veterans Memorial Pkwy. Great office space located in the Central Parkway Professional Plaza easily accessible from SE Federal Highway. Office is ideal for small store or professional suite. Property features an executive office, reception area, waiting room and kitchenette. The Gateway Plaza currently has a 3,000 SF warehouse condo available for lease. 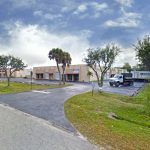 Site features bay doors, internet and cable for TV, phone system, A/C, easy accessibility to US-1, highly, and located in a highly sought after industrial area with great egress and ingress for large tracker trailers. 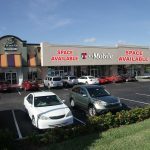 Great leasing opportunity available at the most highly profiled plaza on the Treasure Coast, directly in front of the Treasure Coast Simon Mall. Anchored by all national & regional tenants including: Panera Bread, Men’s Warehouse, Play N Trade, T-Mobile, Stanton Optical & Vapor Shark. 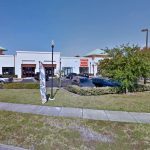 Jensen Beach Shoppes boasts one of the most visible plaza’s on US Highway 1 with some of the highest traffic counts on the Treasure Coast. 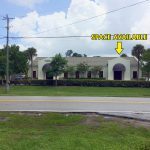 The St. Lucie Business Park has one 1,000 SF space available ideal for a merchandise showroom or open floor plan office. Excellent parking area, easily accessible from US Highway 1. Space will lease quickly!! Great location for potential vet office or polo/horse training center. 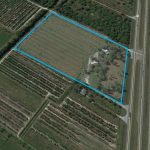 13 acres on Highway 70/Okeechobee Road features horse stalls, 2 bed / 3 bath home with metal roof and 9.06 acres of open pasture. 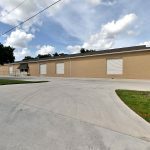 Industrial warehouse has 2,000 SF space available for lease. Site also includes outdoor fenced storage yard. Great for manufacturing, equipment sales, or storage.